Cruise Hive is sad to report that an 85-year-old male passenger has been killed from a large freak wave that hit the Marco Pol cruise ship while it was sailing through the English Channel. It’s being reported by several main news sites that passengers were injured and that two passengers were airlifted from the ship. A female was also airlifted with the man, at the moment Cruise Hive doesn’t know the condition of the woman. According to the BBC water crashed through the windows. This was while the ship was sailing in weather that has battered the UK for the past few weeks which has included Hurricane speed winds up to 100 MPH, flooding communities and non-stop rain. The weather had been especially severe in Southern parts of Britain which is where the English Channel is. There were 735 passengers on board the small sized cruise ship which is operated by Cruise & Maritime Voyages. 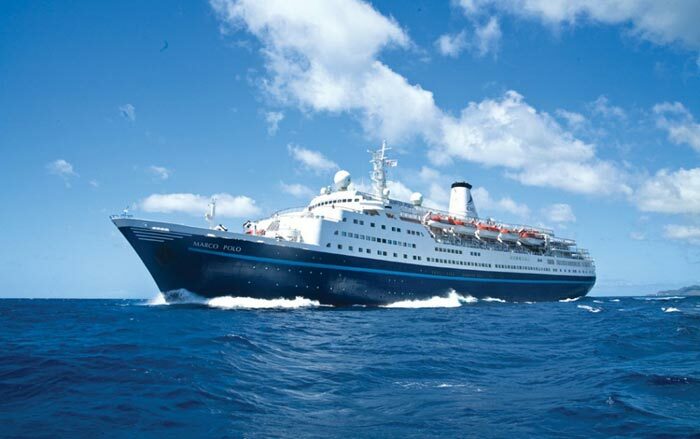 Marco Polo was on a cruise which started on January 5th and was on the way back to its home port in Tilbury, Essex.